Over 15 million babies are born premature globally each year, with many of them being born in developing nations. As a result, there are a large number of critically-ill newborns that have limited access to medical innovations compared to that of developed countries like Australia and the United States. This lack of accessibility is at the heart of what drives the team at Navi, and this is particularly true for Navi Chief Technical Officer Mubin Yousuf; who is originally from Pakistan and has a unique and personal drive in helping newborns that need it most. Mubin has recently returned from a trip to Pakistan, where he spent time speaking with doctors and hospitals in Karachi to better understand the problems developing nations like Pakistan face in intensive neonatal and paediatric care, and how companies like Navi can develop products to help give children brighter, happier futures. Q: Who are you and what do you do? MY: My name is Mubin and I have a master’s degree in biomedical engineering. I am currently a cofounder and Chief Technology Officer at Navi Medical Technologies; I am also working part-time as a research engineer at Murdoch Children’s Research Institute’s Cardiovascular Bioengineering Team. Q: What is the current state of the health care system in Pakistan? MY: Healthcare in Pakistan is divided into two big sectors, the government/public sector and the private sector. Each have their own inpatient and outpatient departments. The public sector receives funding from the government and offers patient care either as free or at very low cost whereas the private sector is relatively high in terms of cost to the patients. The public hospitals is do their best but the lack of is sufficient infrastructure to cater for Pakistan's growing population poses a real challenge. Q: What are the current needs and problems facing paediatric and neonatal medicine in Pakistan? MY: My experience visiting NICU’s [neonatal intensive care units] in Pakistan was very enlightening, especially in the public sector. I visited one of the largest public NICUs of Pakistan, and what was most surprising was that there was a 22 day waiting line for patients to get a standard Xray - a sobering reflection of how understaffed and over populated with patients some hospitals in Pakistan can be. Q: As an engineer, what most excites you about developing the neoNAV? MY: It would have to be utilising cutting-edge AI [artificial intelligence] in collaboration with neonatologists and electrophysiologists to develop a medical device that makes a big difference to premature babies. A dream come true! Navi was honoured to be invited as a guest presenter at the Melbourne Accelerator Program (MAP) showcase event, the Melbourne Entrepreneur Gala, in August 2018. The black-tie gala, which was attended by the “who’s who” of the entrepreneurship scene in Australia, is an event that focused on celebrating and connecting entrepreneurs with industry leaders across a number of different sectors. Navi co-founder Wei Sue represented Navi at the event, and presented Navi’s work on the Neonav, which aims to improve catheter placement procedures in critically-ill newborns to achieve better patient outcomes. Wei Sue (CFO) representing Navi’s win at Start Up Vic’s Pitch Night. Navi proudly announces Co-Founder Wei Sue’s first prize win at Start Up Vic's Pitch Night on 29th August 2017. During the final round of the event, the top four finalists were selected to pitch their health technology startups to a panel of judges and a large crowd, held at the PwC building in Melbourne. 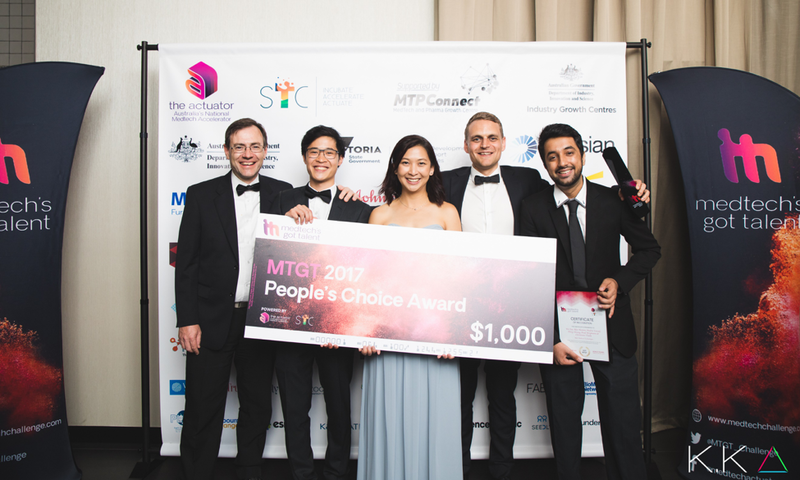 Navi won $150,000 worth of prizes and a wild card entry into MedTech’s Got Talent - Australia's largest start-up competition. Aside from being the judges’ favourite, Navi also won the people’s choice award during the event. As a result, Navi will be featured in Start Up VIC's upcoming newsletter. 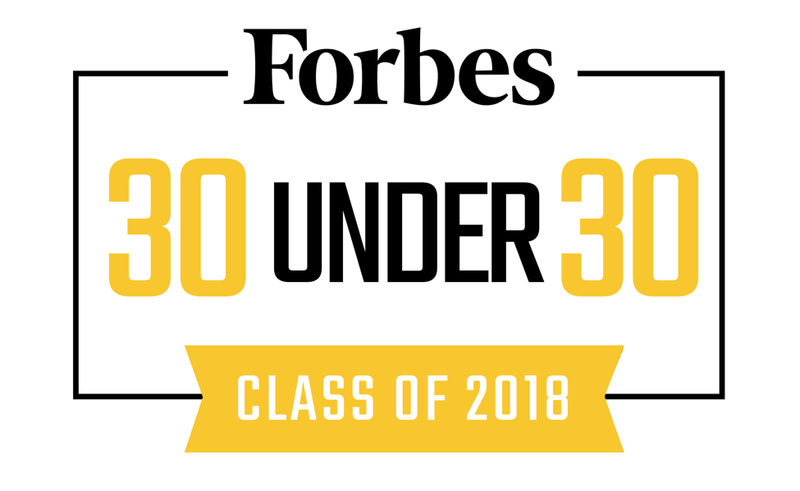 Navi COO Named in Forbes "30 Under 30"
Navi announces that our COO and Co-founder, Shing Sheung, has been named in the Forbes "30 Under 30" list for Healthcare & Science in the Asia/Pacific Region. The nomination followed after Shing spent several months in the Texas Medical center in Houston - where he was a participant in the TMCx Innovation program. During his time in Houston, Shing engaged with clinical and industry leaders to further the develop the Neonav - Navi’s medical device which primarily aims to significantly improve catheter positioning and placement in neonates by providing clinicians with real-time feedback on catheter tip localisation. Navi ultimately hopes that the Neonav will help set a much-needed, new standard in neonatal care. Shing Sheung, honoured by the acknowledgment, shared a few words regarding his relentless dedication to the development of the Neonav: "It's a real honour to be named alongside so many other inspiring individuals. Thank you to Forbes who recognises our work at Navi. As a team, we're absolutely determined to create medical innovations to help children everywhere live brighter, healthier futures." The Melbourne Business School, in partnership with the University of Melbourne, has awarded the Navi team the "2018 Alumni Leadership Award" at the Leadership Dinner event in Melbourne, Australia. 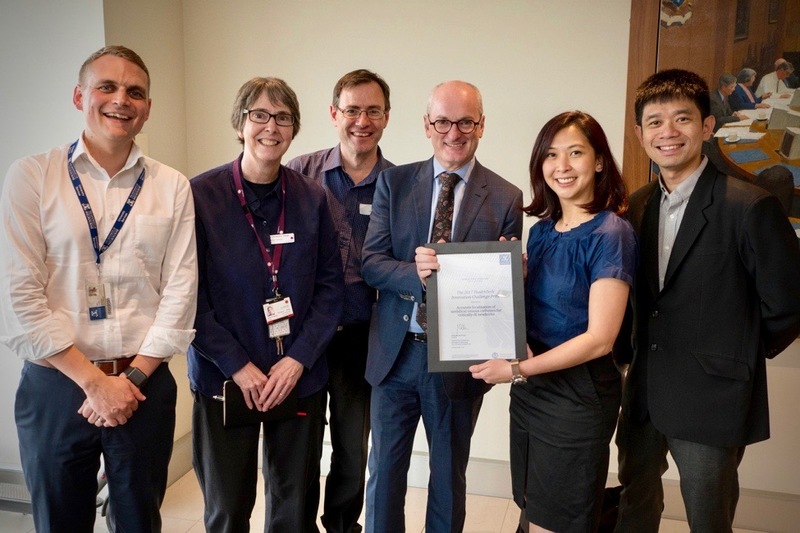 The Melbourne Business School Dean, Professor Ian Harper, honoured Navi at the event in light of its work in developing the Neonav - a catheter tip confirmation device that will assist healthcare professionals to reduce the high misplacement rates of central line catheters in neonates. "The School would like to recognise [Navi] for the inspirational success of your pioneering endeavour in paediatric medical technology with the presentation of the Alumni award..."
Navi CEO Alex Newton graciously accepted the award on behalf of team Navi. He stated his thanks for the support and guidance the university continues to offer in Navis pursuit of improving the standard of neonatal care. "It takes a lot of work to transform an idea factory into a revenue-generating business - and I am thankful for the continued support of the alumni and faculty of the Melbourne Business School." 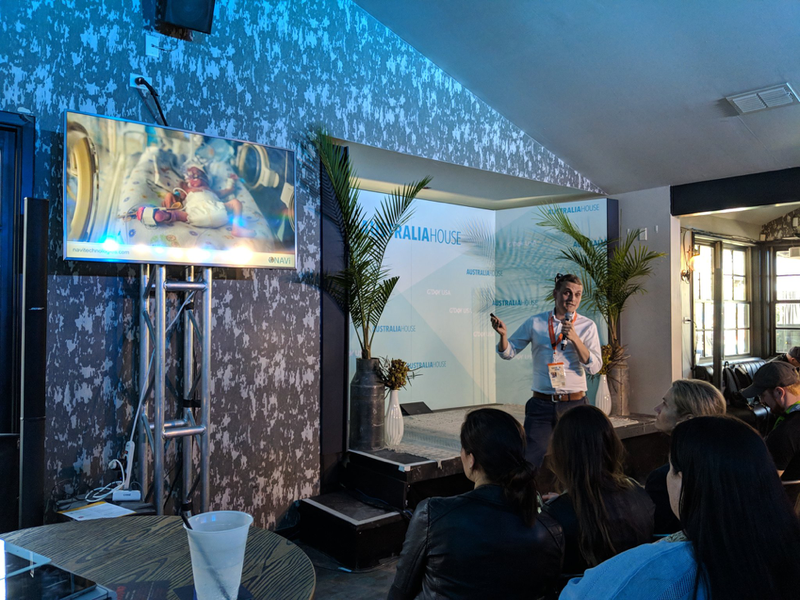 Navi CEO Alex Newton was recently invited to pitch the Neonav to the Pediatric Impact Health challenge at the 2018 South by South West (SXSW) festival in Austin, Texas. The event is sponsored and attended by representatives from the top 8 children's hospital in the US. Its main purpose is to provide an opportunity to bring together the most promising paediatric-focused start-ups from around the world to present their ideas and network with key leaders in the pediatric healthcare field. "The opportunity to meet representatives from leading US children's hospitals and engage in extensive discussions on the challenges they face, as well as the benefits that we can offer them via the Neonav was incredible,” Alex noted. Navi proudly announces that it has been selected as one of six start-up companies to be accepted into the inaugural cohort of The Actuator Accelerator Program - Australia's largest medical device focused accelerator program. The Actuator is engaged in close partnership with the Australian Government, Artesian, MTP Connect, and a range of industry partners (including Medtonic and Johnson & Johnson). The program will be providing Navi with initial seed funding along with an advanced mentorship program designed to accelerate the commercialisation pathway. One of the primary purposes of the Actuator program is to get start-up companies ‘investment-ready’ and assist with easier access to funding through partners such as venture capital partners Artesian. Navi CEO Alex Newton states he is excited about the opportunities that the Actuator program offers: "Our partnership with the Actuator and Artesian means will accelerate our product development activities and enhance success for our future capital raising rounds." The Actuator is engaged in close partnership with the Australian Government, Artesian, MTP Connect, and a range of industry partners (including Medtronic and Johnson & Johnson). The program will be providing Navi with initial seed funding along with an advanced mentorship program designed to accelerate the commercialisation pathway. Last week, Navi was awarded a top prize of $20,000 in cash at Medtech's Got Talent National's Final Gala. Additionally, Navi was also voted as the "People's Choice" start-up company - and consequently received a further $1,000 cash prize. The winning pitch, delivered by Navi Co-founder Wei Sue, was presented at the National Finals as part of Australia's largest medical device accelerator program. 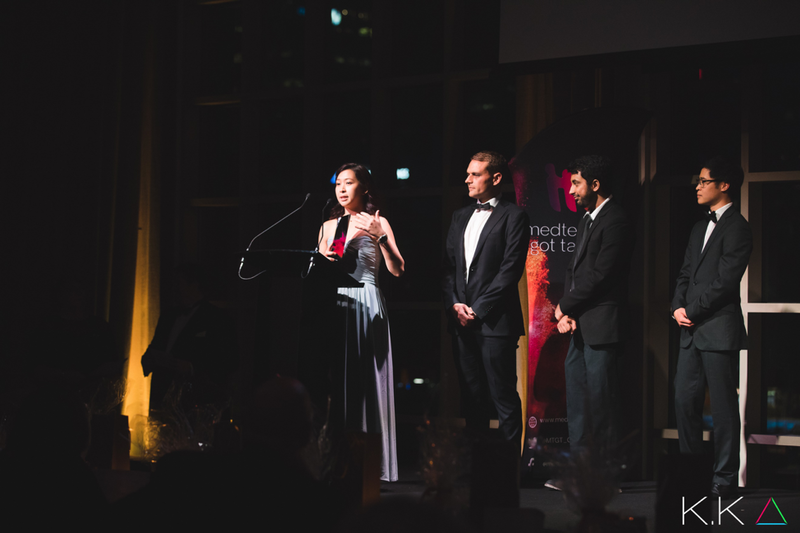 Eighteen of the best medical device startups from around Australia were selected to present at the black-tie event in Melbourne, Australia, in front of a panel of judges. Only the top 5 pitches at the event were awarded the $20,000 cash prize and granted entry into the next stage of the accelerator program. Following this win, Navi is now eligible to commence an intensive mentoring and training program that begins December 2017 which offers assistance in raising seed investment. Navi CEO Alex Newton delivered a winning pitch at the Graeme Clark Institute's HealthTech Innovation Challenge. Navi was selected to present with seven other finalists to a panel comprising of representatives from hospital, academic, industry and government organisations. The judges awarded a $20,000 cash prize to Navi and other participants who demonstrated innovative inter-disciplinary research - specifically those showcasing significant potential for future funding by granting bodies and/or industry. "Winning this award is further validation that our medical device, the Neonav, is addressing an important but often overlooked medical problem in the neonatal population,” Alex Newton stated after receiving the award. He continued, “Securing the $20,000 cash prize will go towards our upcoming research into neonatal vascular access." Navi COO Shing Sheung (2nd from right) at the 5th Annual Pediatric Device Innovation Symposium. NAVI was awarded $50,000 during the 5th Annual Symposium on Pediatric Device Innovation in San Jose, California on the 24th of September, 2017. The symposium is an FDA-sponsored pediatric medical device competition. The Fifth Annual Pediatric Device Innovation Symposium is held in San Jose, California. It has been organized by the Sheikh Zayed Institute for Pediatric Surgical Innovation at Children’s National Health System. The symposium’s stated main purpose is to further the innovation and commercialisation of medical devices - specifically those specialising in pediatric care. NAVI was selected as one of twelve finalists to pitch its pediatric medical device innovation, the neoNAV, at the “Make Your Medical Device Pitch for Kids!” competition to a panel of judges in a bid to secure part of the $250,000 prize pool and consultation services. A special mention goes to Navi COO Shing Yue Sheung, who acted as Navi’s representative and represented Navi’s medical device, the Neonav, at the competition in San Jose.